We’ve all been there. An unexpected guest is added to your list after you’ve completed all your holiday shopping, a surprise grab bag exchange, or you just procrastinated because you couldn’t think of the right gift idea. This happens to me most often with men. My dad, uncle, brother, and even my son are really difficult to buy for, and I find myself scrambling at the last second. So, I asked them what they want and put together this list of last minute gifts for guys based on their answers. It’s obviously helpful if they have hobbies and you know they’ll love something in that niche. But, if you aren’t aware of their passion for fishing, boating, garage doors, or woodworking, it’s hard to base a gift decision on anything specific. So, here are some suggestions that cover the general male population. Even though we give some of them a hard time, they are all bathing regularly and taking care of themselves. 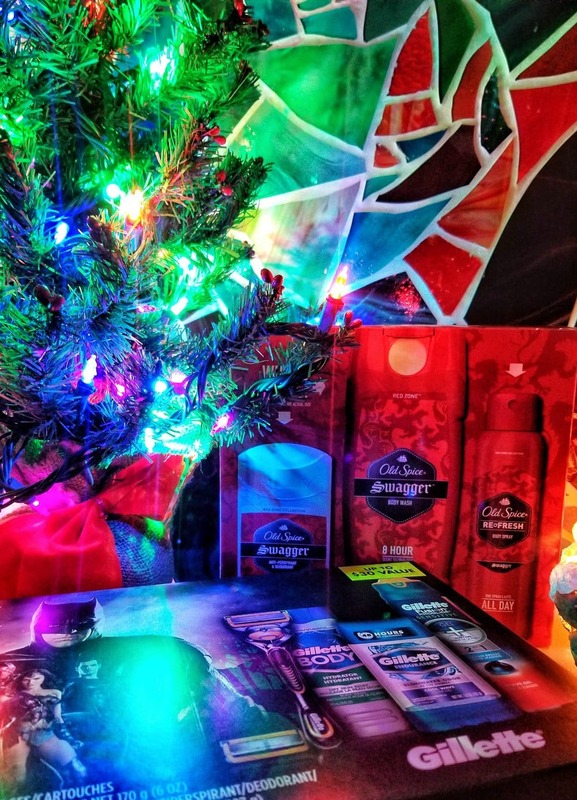 The gift of great smelling bath products and grooming gear is always a winner. Right now you can get these awesome gift packs at Walmart. The value is crazy! And they’re boxed nicely, so they’re easy to wrap and stick under the tree. 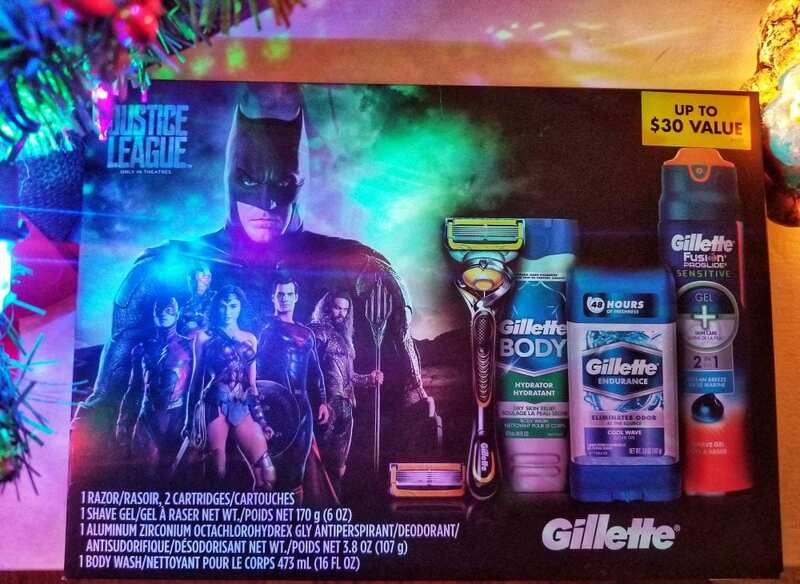 The Gillette Justice League Gift Pack featuring Batman for $14.88 will have your guy feeling like a real hero. 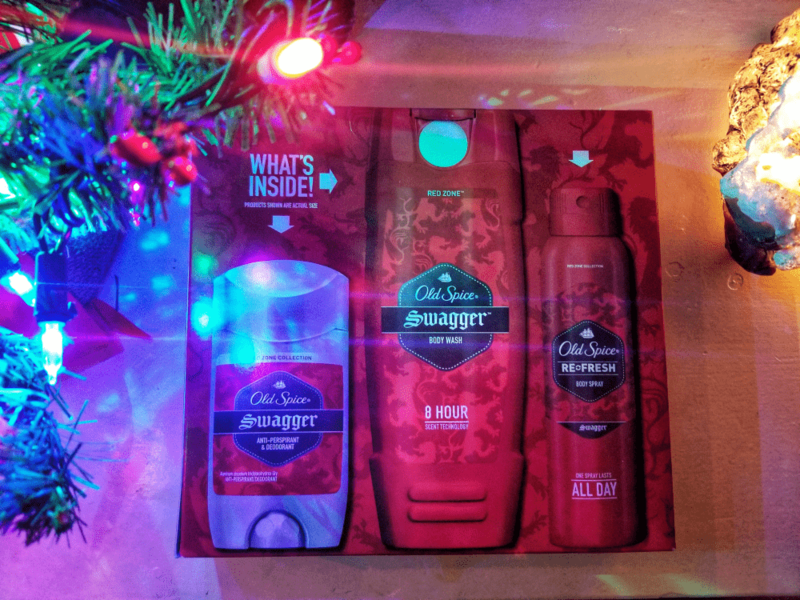 And you can’t go wrong with the classic Old Spice Swagger Gift of Confidence Gift Pack for $9.88. Both sets include body wash, deodorant, and other personal care items. 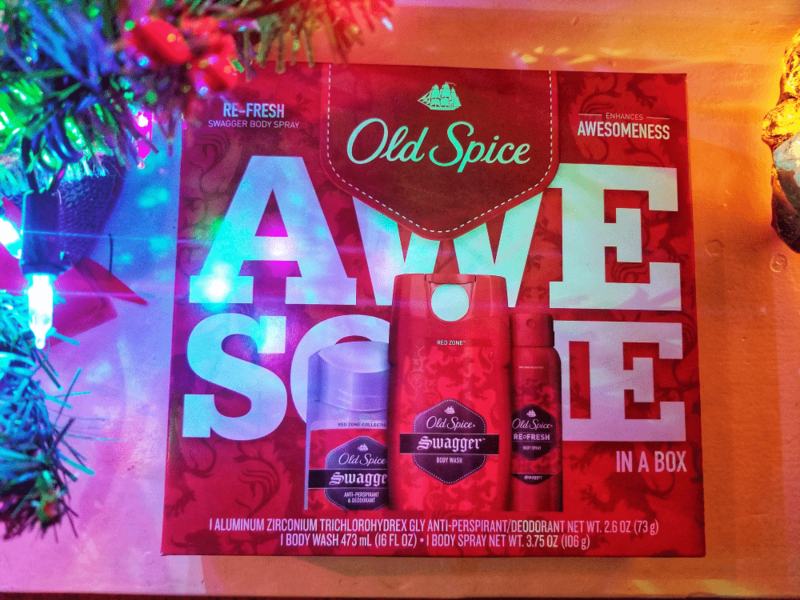 I even heard the Old Spice guy, Terry Crews, mention the gift sets on the radio recently! We all know I love me some Old Spice guy. Barring any food allergies, edible gifts are always a great idea. Everybody has to eat and the holidays are a great opportunity to gift yummy treats that no one buys for themselves. Chocolates, fruit-of-the-month subscriptions, or even meal subscriptions are awesome gift ideas for men. Unless you know the guy, I wouldn’t spend money on tools. Most men either have them already or are particular about what they’re looking for. But things like flashlights, rechargeable batteries (in a variety of sizes and a base), portable chargers, and car battery jumpers are a safe bet. The value of these items alone will be appreciated, and they can be bought almost anywhere so there’s no need for a trip to a specialty store during the peak shopping season. Typically when we think of spending a day at the spa, it’s with the girl’s right? Well, it’s time we stop leaving the guys out! A gift certificate for a facial, massage, or pedicure is something most dudes would never buy for themselves but secretly wish they could experience. Plus, these can easily be purchased online and printed or sent via email making them excellent last minute options. All humans want to be comfy. A good pillow, cozy blanket, memory foam slippers, good pair of gloves–things that make the harshness of life a little easier to handle are sure to be appreciated by all gift recipients. A movie-themed gift basket never fails. Grab some gourmet popcorn, a gift card for movie tickets, and a few boxes of classic movie candy and put them in a gift bag or basket for a great present. 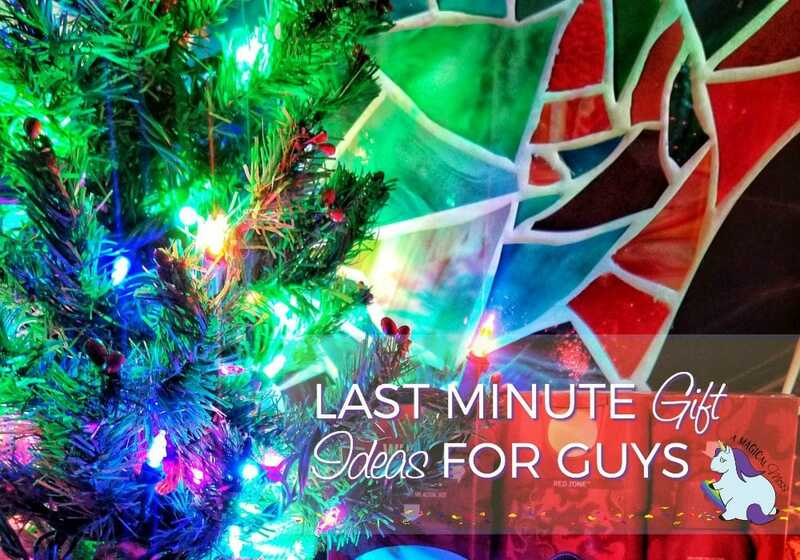 Do you anticipate needing any last minute gifts for guys? What gift can you see grabbing in a pinch? 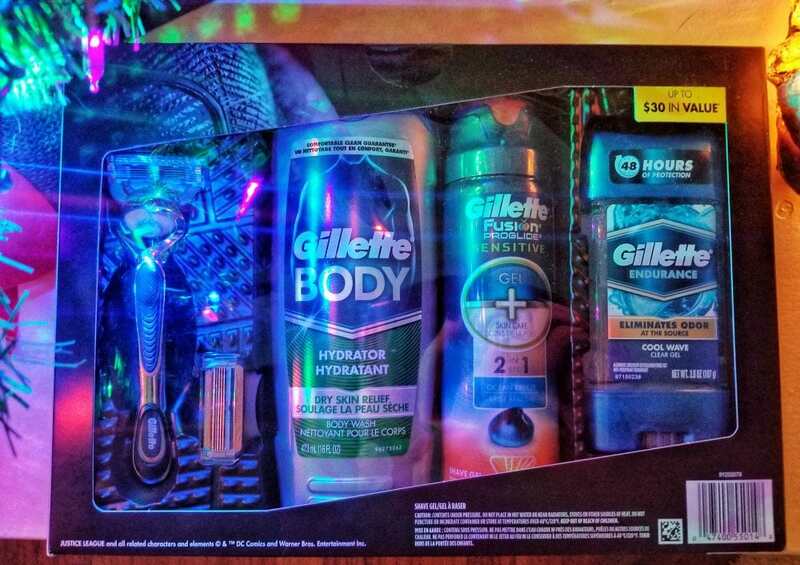 Great gift ideas, especially the Gillette set. My husband always forgets to stock up on that stuff so this is perfect for him. My husband doesn’t like anything smelly (good smelly) much to my sadness. The entertainment/movie themed basket would work for him though. Thanks for the ides. What young man wouldn’t want to be smelling his best? Those are great gift ideas, especially for college students! So I’m an over-buyer. I often keep gifts on hand…just in case. Hygiene stuff is awesome to pick up because it doesn’t go bad and everyone can use it!